...And aren't these clematis varieties just beautiful! Such stunning forms and fantastic colours. Even though they look very delicate, these wonderful climbing plants are fairly easy to grow, if you know the basics. We are in the height of the growing season and more than likely you will be drawn to these stunning plants down at the garden centre. 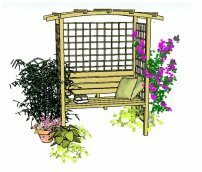 Have you just installed a new pergola, arch or gazebo, and are deciding on which climbing plants to choose to create a brilliant display all through the growing season? Or perhaps you would like something 'showy' to grow over a wall, or tree, to give it some colour and create an interesting feature. The clematis, rightly so, is a very popular pergola climbing plant, which can be found in so many varieties it is difficult to make a choice! If you are new to gardening, it is good to start with clematis that are fairly foolproof, in order to ensure a successful display. But, which to choose? The thing is, there are different types of clematis that flower at different times of the year. This can lead to a great deal of confusion, as I've often found when discussing planting ideas with clients and friends. So, if you are not sure, then here are some pointers for a fabulous show that will last for many months. Group 1 - These are the early flowering varieties, which flower in spring, and include the Montana, Alpina and Macropetala varieties. 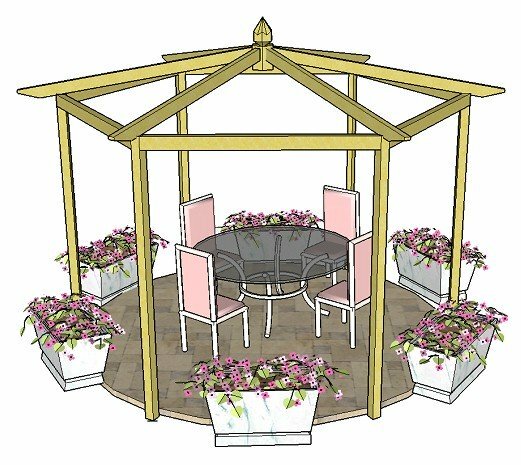 Group 2 - These are the summer flowering varieties, with large saucer-shaped flowers. Group 3 - These are the later flowering varieties, which can be large, small or nodding. A friend of mine bought a Montana to grow over a fairly small arch. This variety, in particular, is one that needs careful positioning as it is so vigorous. You will see it in the spring, clothing many house and garden walls, where in fact, it is best suited. Read plant labels before buying to make sure the height, spread and flowering season are suitable. Here are 10 I would suggest being the best clematis varieties for beginners. A very vigorous variety to grow against walls or sturdy structure. It grows to 22 - 40ft. The flowers are smaller than the summer flowering varieties but, what they lack in size, they make up for in number! And for this variety, the flowers are lightly scented. It's delicate appearance belies its very tough nature. 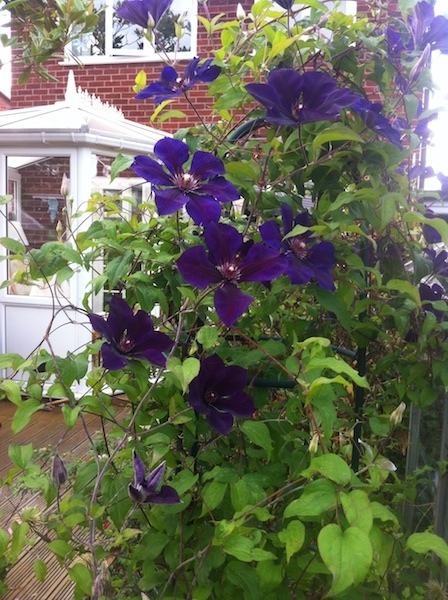 With stunning blue nodding heads, this alpine clematis is a perfect choice for early on, growing 6-12ft. Another delicate clematis, ideal for growing through a shrub or tree. It has beautiful fluffy seed heads after flowering. Stunning deep purple flowers. Just gorgeous! 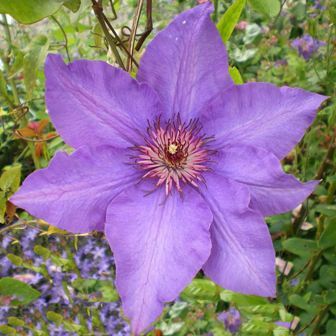 Looks great planted with pink clematis varieties, or with the unusual 'Clematis florida var. sieboldiana', where it picks out the purple stamens, which are set off against the white petals. White and frilly, with no need to prune, apart from removing dead stems before flowering. Got to be a plus! Striped clematis varieties are not always my personal favourites, but this one is absolutely beautiful in a north facing aspect, or in shade, as the colours don't fade and it looks vibrant and stunning. Lovely deep lilac petals, going well with pinks or deeper purples. Being vigorous and difficult to damage, this one is highly recommended for a beginner. Its pink blooms contrast well with the deep purple varieties. Lovely carmine pinky-red flowers, which look fabulous against a light-coloured wall. Deep purple flowers, on a plant that copes well with a north-facing wall. It is vigorous and looks lovely in a border, scrambling over shrubs. 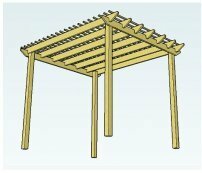 All of these plants can be grown over pergolas and arches, in patio pots, or even in borders clambering over shrubs - apart, of course, for the Montanas, which need a sturdy structure. All will make a superb display, and are reasonably easy to look after. Find more detailed information here , with other clematis varieties too. To plant about a palm's width below soil level, so that the clematis will shoot from the bottom. Clematis are best planted in the autumn, giving the root system a good start in the warm soil. Apply a mulch of well rotted compost around the roots after planting and each autumn. They prefer a lime soil but will grow well in any good garden soil. As with any plant, soak the root ball well, before planting. Clematis like their heads in the sun and their roots in the shade. Many DIY stores now have really good offers at around, and even under £5. If you choose a plant that looks in really good health, it is worth having a go. I found some recently that just said, 'Pink', 'Purple' and 'White'. Although I am usually very particular about plants for my small garden (everything really has to earn its place), I couldn't resist - I just had to see how it turned out - for £2.50 - not bad! Good quality can come at a great price, so keep a look out for those bargains. And, as the saying goes, 'Fortune favours the brave', and some of my most beautiful and sturdy plants, at around £1.50, have come from supermarkets! Find out about other wonderful climbing plants to grow in combination, and how to prune different clematis varieties here . Whichever clematis varieties you choose, I'm sure you wont be disappointed! Here's to your wonderful garden this summer.